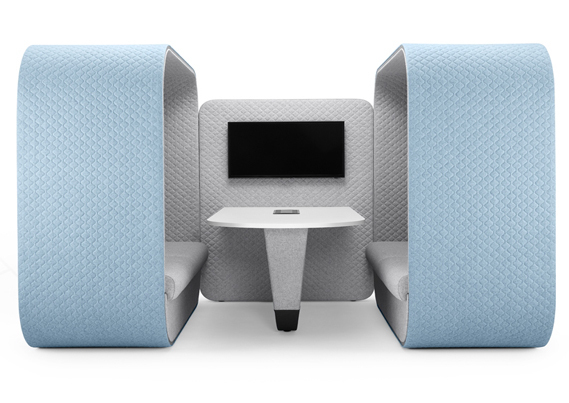 Cocoon is an alternative seating option that offers office privacy for work as well as a touchdown area. 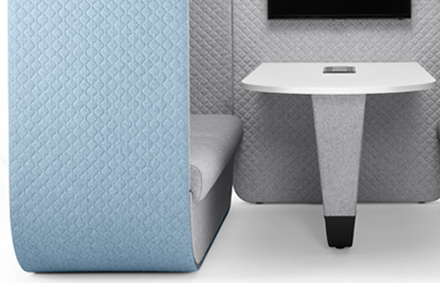 Like its name suggests, the cocoon design reduces noise and minimises any distractions; allowing users to keep focused during meetings or relaxed during breaks. This high back seating option comfortably fits up to three people for collaborative team working or informal meetings and gatherings. With optional power ports and data supplies, it allows the unit to be adaptable for work with technology and various media equipment. 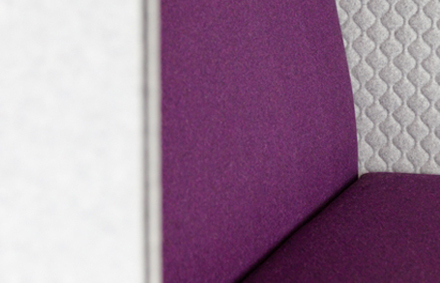 For added personalisation, the Cocoon seat and lumbar cushion are available in a variety of fabric, leather or vinyl with the external and internal hoop upholstered in Camira Blazer Hourglass fabric. 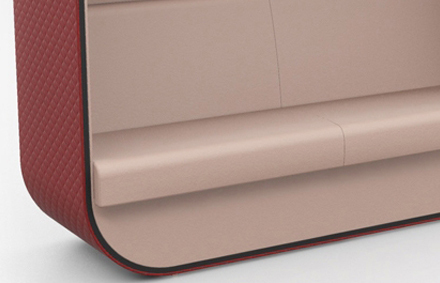 Whilst stylish, its dual-density CMHR foam ensures the unit is comfortable and ergonomic too. By being no deeper than a single door frame, the Cocoon is easily configured and can be relocated to wherever it is needed. For workplaces that need more than one private or collaborative area, they can be configured back to back within offices with limited space.